If you’ve been looking for a wedding venue in the Yarra Valley or Dandenongs thats a little bit different, quirky or simply not the usual wedding reception sausage factory that you sometimes find yourself wishing you weren’t at, then Hedgend Maze may be just the place for you. Situated on the peak of Badger Creek Road above Healesville, the venue has commanding views of miles and miles of beautiful countryside and forest. It really has to be seen to be believed. Lea and the Hedgend team offer the venue as a ‘blank canvas’ and invite you to imagine and create your perfect day, whether it be a picnic with jumping castle or a mini music festival inspired wedding. 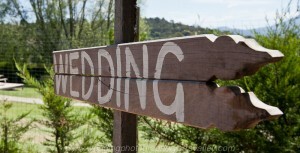 The legendary maze, mini golf and laser quest are all attractions which your guests can enjoy as part of the wedding. You could even get married in the maze! With the sweeping views and perfectly manicured maze there are numerous options for really exciting wedding photography in the Yarra Valley without leaving the Healesville area or your guests.